From 2010, in order to accommodate with the route of the Marathon began at Pacific Green Bay (Taipingyang Feuicuiwan) in Wan Li, then proceeded through Jinshan to Shimen Junior High School, the name was changed to the Wanjinshi Marathon accordingly. With the establishment of the event coverage in terms of administrative districts, the route course and the name of the Marathon, the “Competition Brand” concept was gradually formed through years of promotion and operation. As the event recorded higher participation rate on a year-on-year basis, the Marathon has attracted more and more runners to registered. The registered participants increased significantly for more than 3,000 in 2011 to a total of over 9,000 participants. In 2012, there participation rate officially surpassed 10,000 people, marking the event as one of the most popular marathons in Taiwan. In 2013, after the 11th Marathon was successfully held, experts in Taiwan proposed that the Wanjinshi Marathon was the only marathon in Taiwan which could qualify for International Association of Athletics Federations accreditation, so at the 118th City Council Meeting for New Taipei City, Mayor Li-Lun Chu announced that Wanjinshi Marathon would seek for international accreditation, aiming at achieving Bronze Certification status. 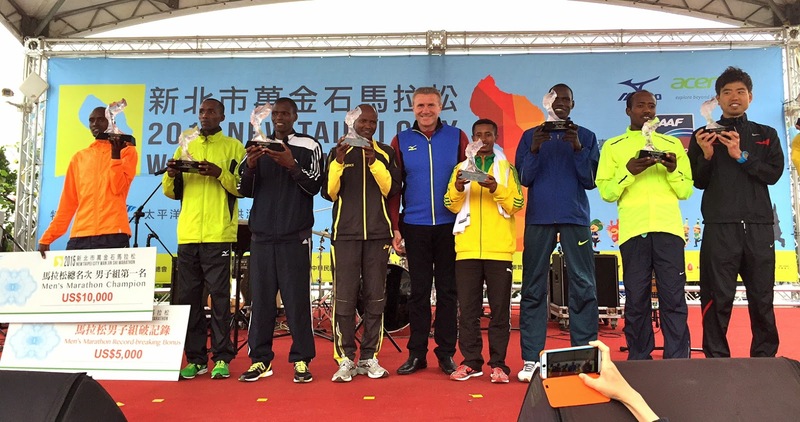 In 2014, Wanjinshi Marathon formally submitted its application to International Association of Athletics Federations (IAAF) for bronze label road race via Chinese Taipei Athletics Association. In October of the same year, IAAF announced their approval, New Taipei City Wanjinshi Marathon thus become the first and only marathon in Taiwan with bronze label road race. 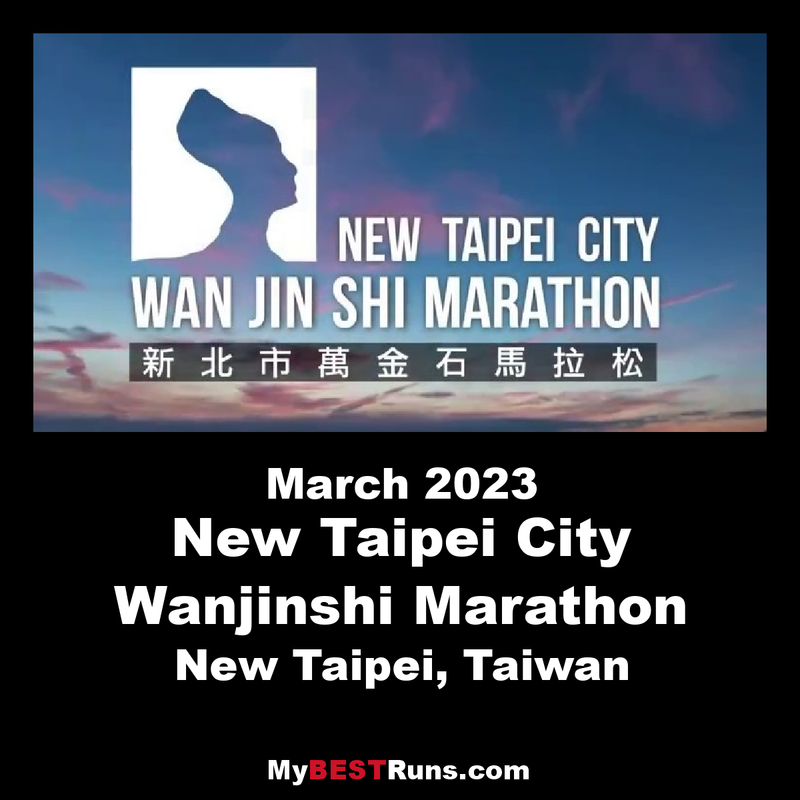 This recognition not only made Wanjinshi Marathon become the most prestigious marathon in Taiwan, but also allowed New Taipei City to make its debut on the world stage of sports through being added to the annual marathon calendar of IAAF. During the marathon of that year, the Wanli, Jinshi and Shimen Borough Councils gathered thousands of people dressing up as Cheerleading Squads to line along the event route beginning from early in the pre-dawn hours. They were fully costumed as regional famous heritage sites such as Wanli Hsieh, Nu Wang Tou, Jinshan Hot Springs and the Shimen Kite. There were also large drum performances and electronic versions of traditional Taiwanese customs such as the San Tai Zi along the way. Despite the chilly morning, these volunteers showed their warm-hearted spirit for all the participants, showing their enthusiasm to the public. Nowadays, the competition had overcome the inconveniences of imposing traffic controls and had gathered a strong and supportive consensus among local residents, becoming an annual event that all the residents of the North Coast of Taiwan were look forward to every year. In 2015, for the first time the Marathon after being awarded road race bronze label, in light of the cool and rainy weather prevailing in early March along the northern coast in Taiwan, the event was adjusted to the third Sunday in March from its original date on the first Sunday of March in the past. That year, the event witnessed participation of 12,000 runners, competing with many world class participants among them. Moreover, the event organizers developed a homestay program for international participants of the Wanjinshi Marathon. The homestay arrangements with volunteer families were made for two days and three nights, allowing the international participants to see the marvelous geographic scene in Yehliu, experience the local fishing port culture, and visit traditional heritage sites as well as the Jinshanbayan community. From this aspect, the Marathon had evolved from an athletic event to an opportunity to enjoy the authentic cultural experience in Taiwan. The 2018 New Taipei City Wanjinshi Marathon is scheduled to begin at 6:30am on 18th March 2018, with the starting point located in the Pacific Green Bay (Taipingyang Feuicuiwan) in Wan Li. The event initiated a mobile application for registration, allowing the participants to get hold of the conditions for registration and weather. Also, through the locating function, the runners will be able to learn about their rank and results. The application also provides the live streaming of the Marathon and services such as uploading photos of runners, thus building a customized database for Wanjinshi Marathon. In this way, we could leverage on Wanjinshi Marathon to shorten the distance between human and technology.